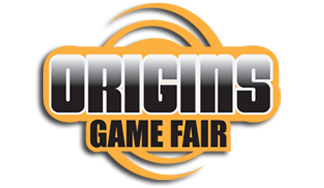 We've got some special stuff planned for Origins this year. Not only will we be in attendance, running demos and selling games and hanging out with our fans, but we're also going to be bringing the Munchkin Tavern to Origins this year! For those who don't know what the Tavern is, here's the rundown: last year at Gen Con, we took over the top floor of a bar in Indianapolis, served a Munchkin-themed menu, played games, sold merch, and had dinners with fans. It was a blast, and we wanted to expand what we were doing with it. So, at Origins this year, we're doing the Tavern like we did at Gen Con (we're taking over the Boulevard Bar, downtown), but we're also taking over a floor of the Crowne Plaza Downtown and turning it into a Munchkin-themed inn! Now you can get your Munchkin on 24 hours a day at Origins! If you want more specific details about how all of this works, check out our Tavern page. Oh, and you should totally stop by our booth because we're going to have a scavenger hunt and a prize wheel; you'll be able to win awesome swag, and you might even win the chance to have dinner at the Tavern with some of our special guests!